Whitehaven have signed former Hull FC half-back Brett Seymour on a one-year deal, subject to him obtaining a visa. 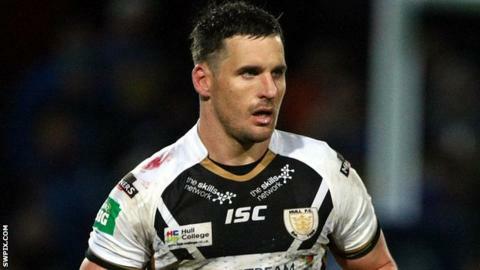 The 29-year-old Australian left Castleford in March having failed to play during a seven-month spell. Seymour joins Whitehaven with them third-bottom of the Championship after winning one of their first five games. The Marras are his fifth different club since leaving Brisbane Broncos in 2006. Two years with Cronulla Sharks and a season at New Zealand Warriors followed. He joined Hull FC in 2012 but left the following summer after his car crash and last autumn in an effort to re-launch his career. But Cas boss Daryl Powell agreed to let him go after failing to dislodge half-back rivals Marc Sneyd, Liam Finn and Jamie Ellis from the first-choice squad.